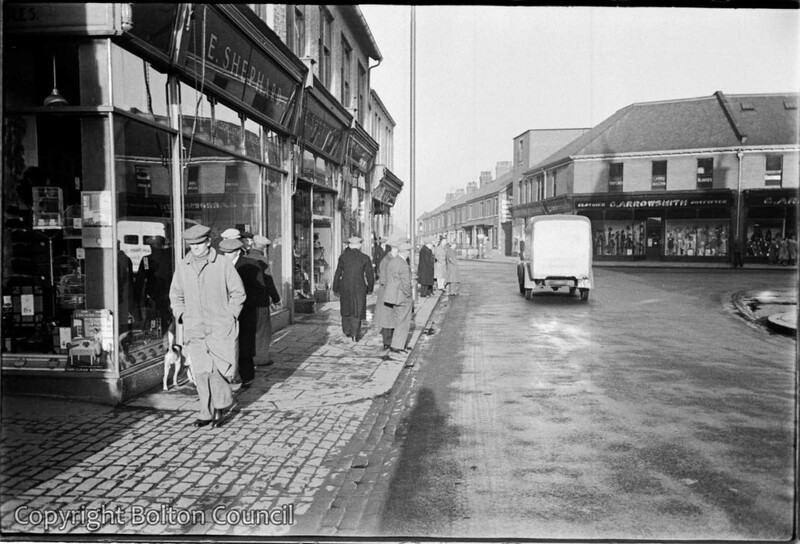 A shopping street in Ashington. This photograph was taken during Mass Observation’s visit to meet the Pitmen painters of Ashington in Northumberland in 1938. If you can share more information about this photograph please leave a comment below.